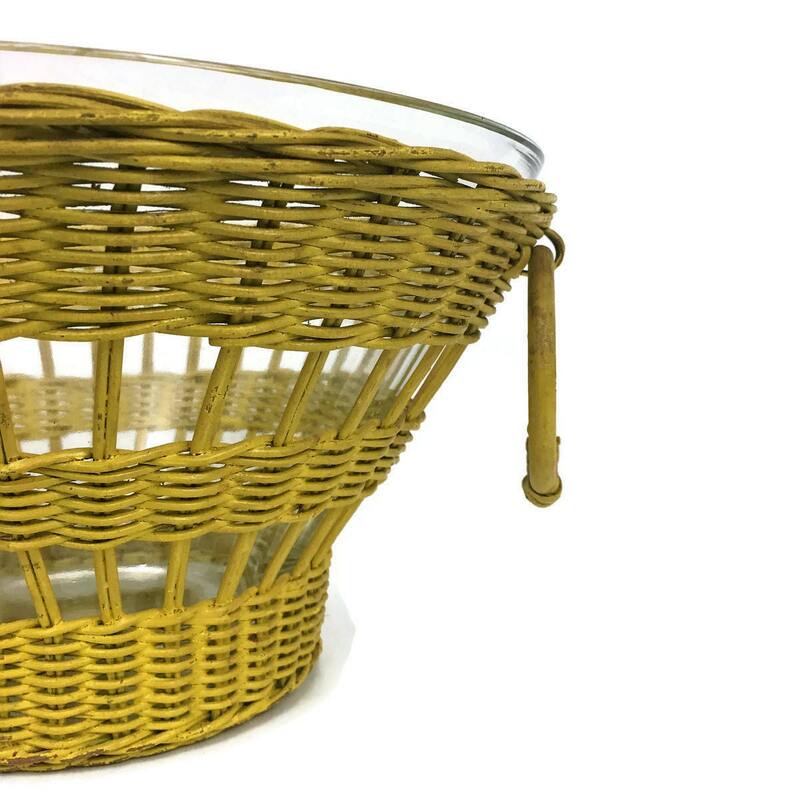 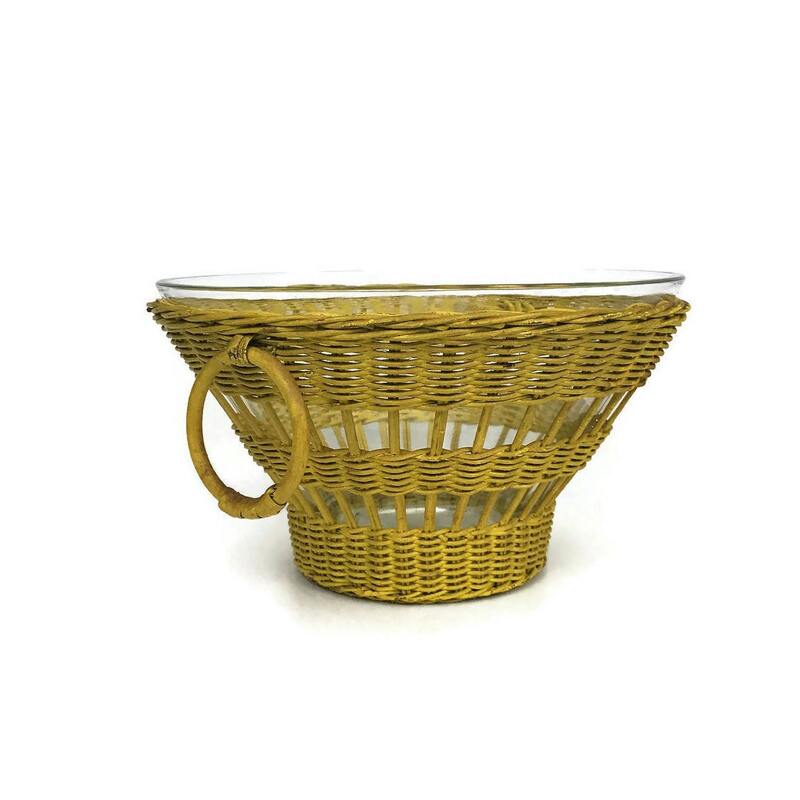 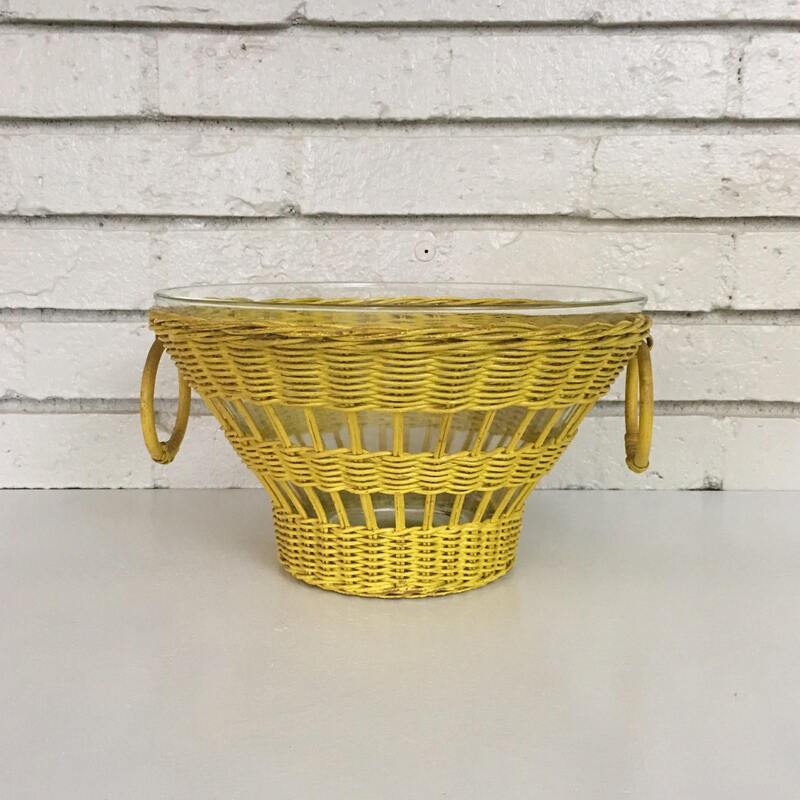 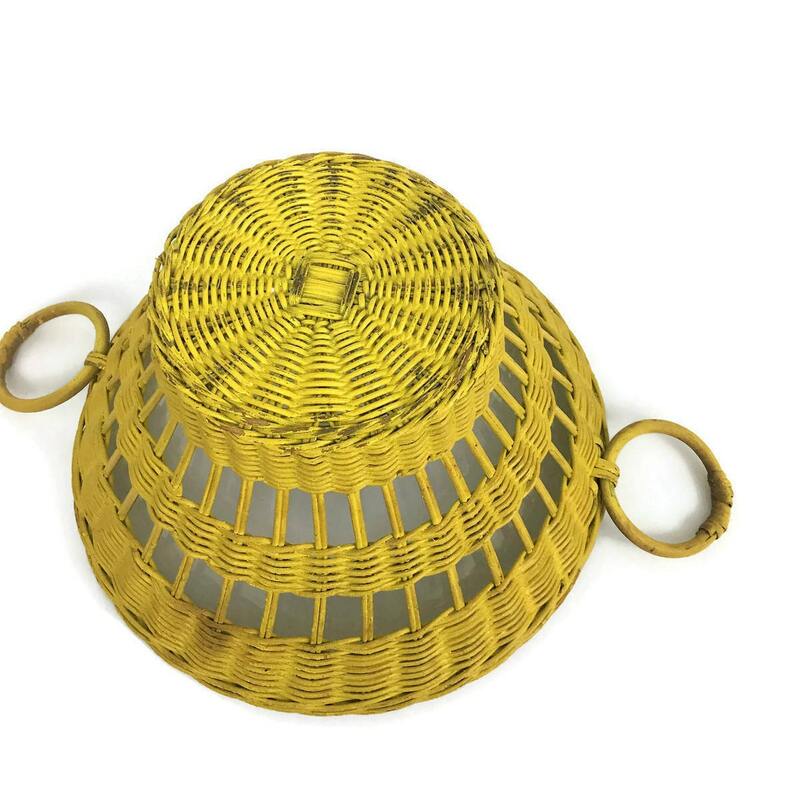 Bright yellow vintage wicker basket with glass insert and double ring handles. 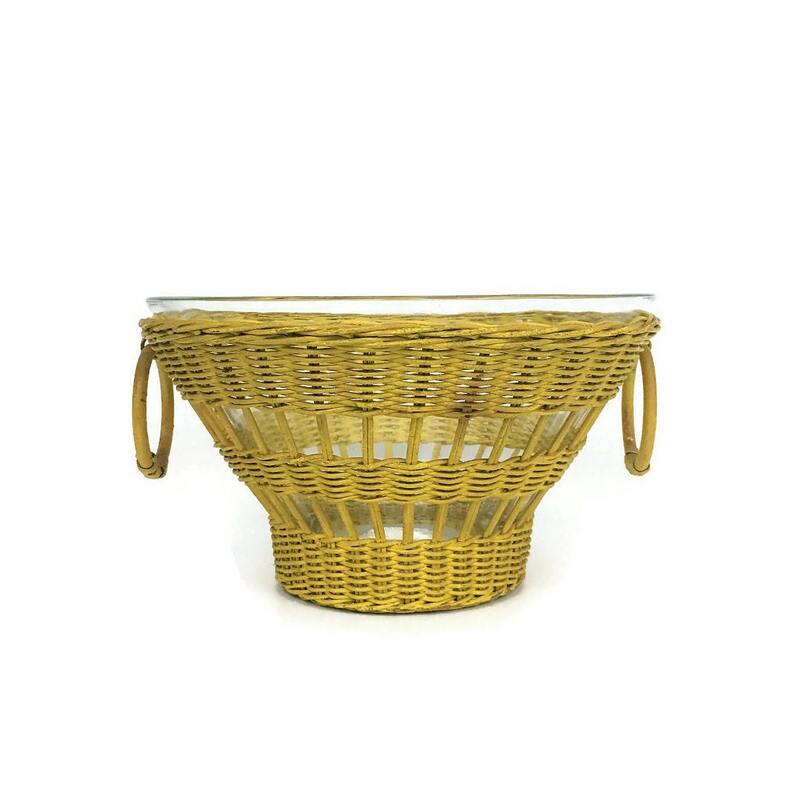 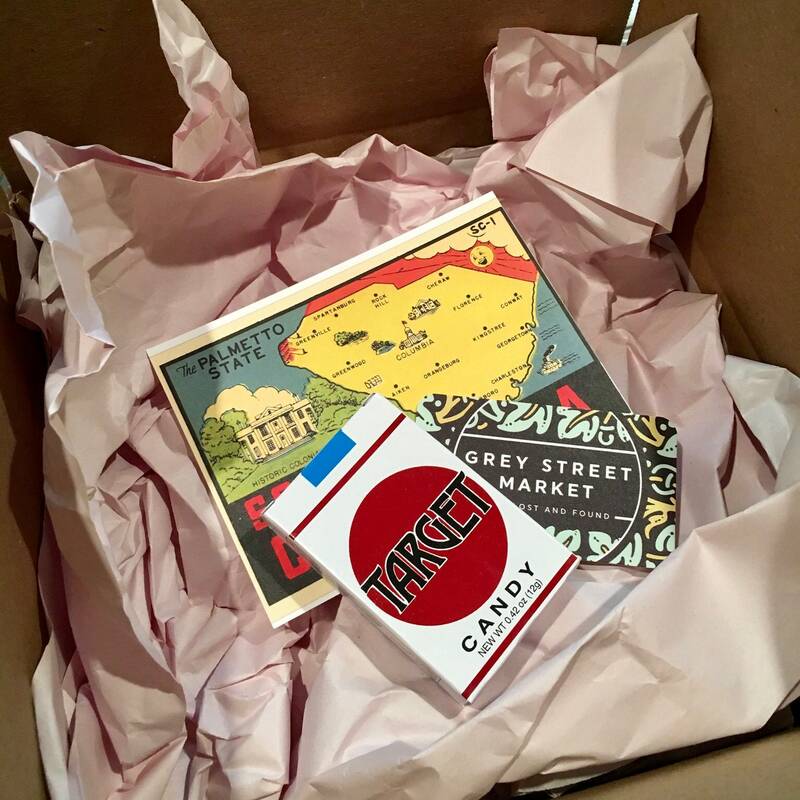 Perfect for popcorn or a potluck picnic! 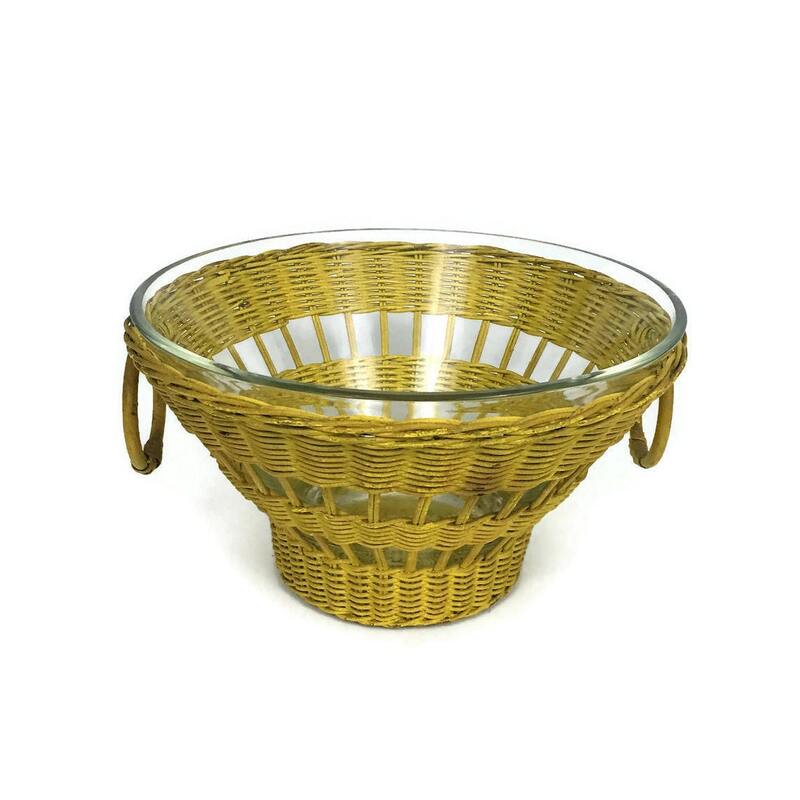 Some minor chipping of paint but otherwise great condition - glass bowl is like new.